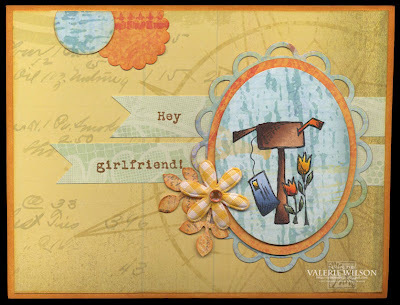 Here's my little creation made using the lovely Mojo Monday #258 layout. I also challenged myself to use only scraps which left me with a variety of patterns and colors - but I think they seem to work together! Use what you got. Love that. Love the coloring on your image and that sketch. 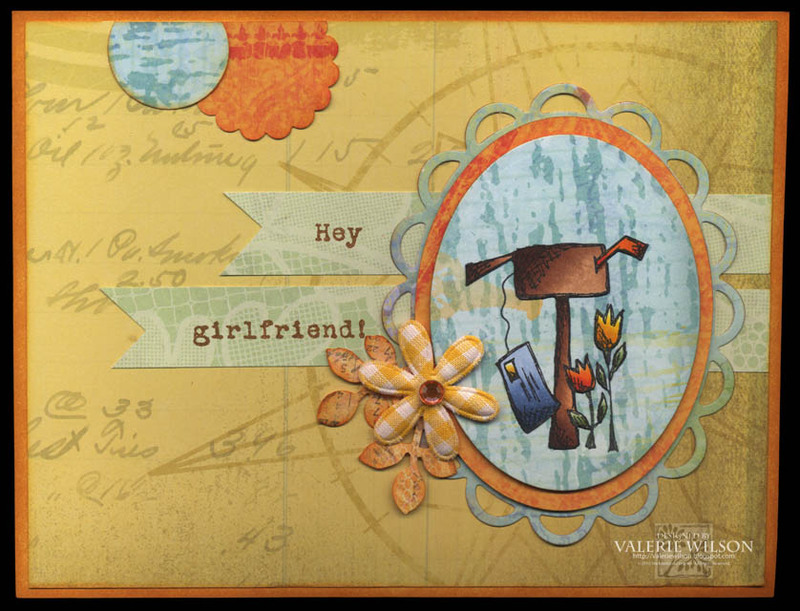 Love your take on the Stampotique Challenge colors! Thanks for playing along! lovely Valerie- you are always inspiring!